When it comes to my health and taking care of my body, I can get pretty paranoid bordering on hypochondriatic. I take a daily array of horse pill size vitamins, eat as clean as I can, try to stay in shape with one hour workouts five days a week, and obsessively surf webmd.com upon the first sign of any kind of health abnormalities. Yeah, I''m one of those people. Upon experimenting with hair color about a year ago, I started fixating a lot of attention on hair health. After all, every color treatment inflicts trauma on the scalp and hair. I began purchasing deep conditioning masques, specially formulated hair vitamins, and oil treatments. But none of those products really addressed the root of my fear-what if my hair is thinning? After all, I have noticed that the ponytail has reduced in size over the years. After searching for hair supplements with good reviews, I found Viviscal, a supplement proven to reduce hair thinning. It works in four stages over the course of 6 months (although most users notice a difference after just 3 or 4 months). 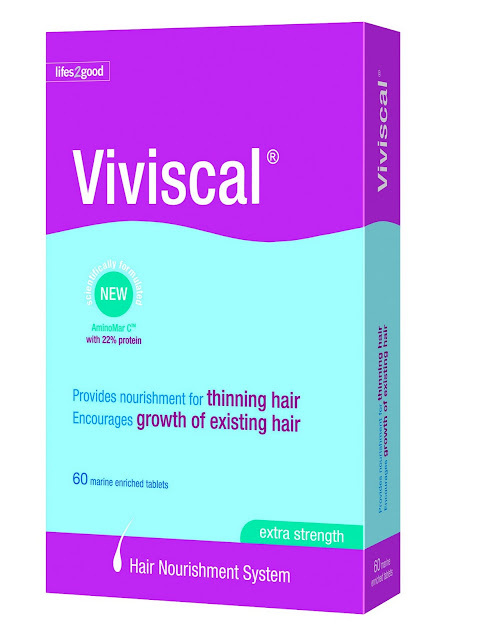 STAGE 1 – Nourishes the hair follicles. STAGE 2 – Strengthens and promotes the growth of existing hair. STAGE 3 – Promotes the growth of existing hair where it has slowed down or temporarily stopped. These hairs are thin and wispy at first. STAGE 4 – Hair becomes stronger, healthier and more vibrant. Viviscal sent me two packets to try out and I started taking the supplements a few days ago and have noticed no side effects. I'm hopeful that with continued usage, I will see fuller and thicker hair which will in turn squash my paranoia. Well, perhaps not squash it but rather move it along to my next health "issue." I don´t think this brand does exist here in Spain! You´ll tell us your opinions after a while using it! Love this post , this is subject that interst everyone. love your blog and been following for a wile. Would you like to follow back? can't wait to see how it turns out. I have such naturally fine hair. And it takes forever to grow! ps. thanks for your comment. I totally agree. Maybe one day we'll see the return of the voice! I have my hopes. wow!!! i need thid product!!! i've never heard of this product but it sounds awesome! good luck with your results! I'm so glad you popped by my blog, giving me a chance to stumble onto this post! I'm also kinda paranoid about my hair thinning out. Hopefully, I'll be able to find this product in Singapore. Wonderful it seems the best hair care Stuff! Hair Loss Helmet is another amazing and innovative hair care product so, Don`t miss it also, If you want a laser hair therapy at your home`s comfort! Fantastic product! It surely understands the benchmarks of hair growth and development. Nice blog you have here. good breakdown of the stages.